This lighthouse is situated at the very tip of a rocky headland, known as St Abbs Head, north of Eyemouth. A signal station was first established on the cliffs before 1820. The lighthouse designed and built by David and Thomas Stevenson, became operational here in 1862, after a number of disasters. Originally the light was oil powered and was converted to electric operation in 1966. The light is at 255 feet and is reached by a flight of steps leading down the cliff from the lightkeepers' house above. The lighthouse was staffed by three full time keepers whose duties included keeping detailed weather records. Once it was automated in 1993 then the light keepers left. A foghorn was established at the head in 1876 and was the first audible fog signal in Scotland. It was discontinued in 1987. The land around the lighthouse is a National Nature Reserve and is managed by the National Trust for Scotland, who have a visitor centre with an exhibition about the head, a coffee shop, art gallery and textile shop. It was classed as a National Nature Reserve because of it's 60,000 seabird colony, which nests on ledges on the sheer cliffs, with Kittiwakes and Guillemots the largest colonies to nest (April-August), but also there are Razorbills, Shags, Herring Gulls, Fulmars and Puffins. But also because of its rich habitat of flora such as Wild Thyme and Rock Rose, which around 10 different kinds of butterflies like to feed on. 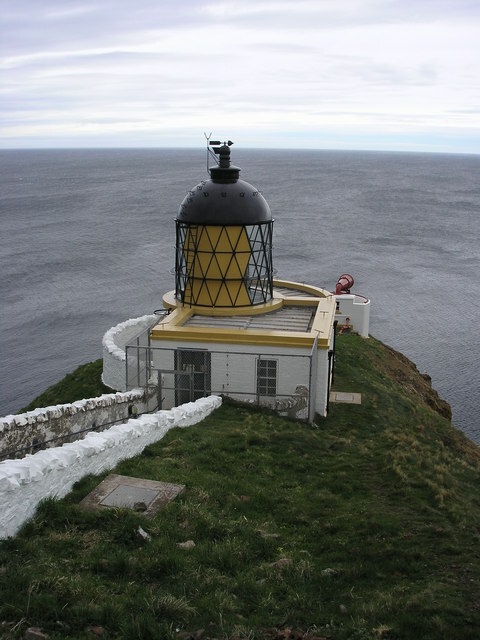 The lighthouse has 2km of single track road leading to it from the main road near St. Abbs village, however it is suggested by the National Trust of Scotland that it is only used by disabled visitors as there is limited parking. Visitors can walk to the Head where the lighthouse's buildings, though still in good repair, are not open to the public. From At Abbs village once parked up follow the marked foot paths. site open all year, no access to lighthouse tower and buildings.